2016 Yamaha MT-10 Night Fluo limited stock available! Throughout 2016, many have sought after the new Yamaha MT-10, with it's enormous power, distinguished character and unique looks; it's understandable why so many have been craving a taste of it's ride. But stocks have been limited on the new machine and many have struggled. 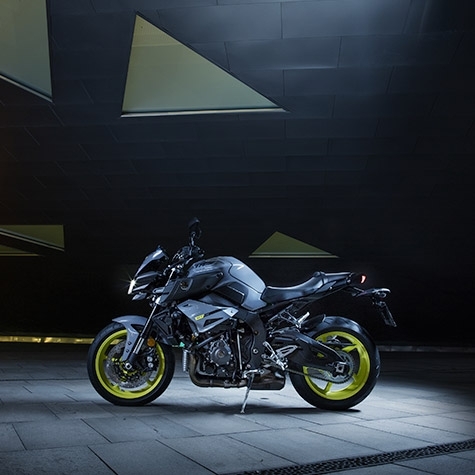 If you're still looking for an MT-10, we've managed to secure one model in the Night Fluo colours, so be please contact our team quickly and beat the crowds. We're sure they'll be piling in to grab this very limited model. Click here to contact us regarding this limited bike, our team will be happy to help you.